Gas Safe Registered, City & Guilds Certified & more! Welcome to Apollo Services, your first stop for all services gas, heating, plumbing & electrical in the Plymouth area. Among the services we offer include boiler installations, boiler servicing & repairs, landlord & homeowner gas safety checks and power flushing. We are qualified with City & Guilds for electrical work for 17th Edition of BS7671 & Part P and C&G 2392 2394 & 2395. For copies of our qualifications, & other certifications please click here. 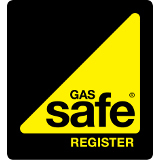 We are Gas Safe Registered, meaning that our engineers are fully qualified to carry out work with gas such as boiler installations, boiler repairs & gas safety checks. 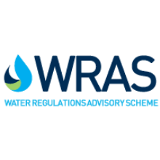 We are WRAS approved for working on your water supplies into and within your home. And are fully insured with public liability insurance for your peace of mind. We work closely with a number of the industry's leading manufacturers of boilers and central heating control, with solutions for providing good water quality for your heating system to ensure the best efficiency possible that will save you money. We are accredited Viessmann, Ideal & Vokera & newly with ATAG, meaning that we are able to offer extended warranties on these makes of boilers. For more information, please get in touch. Covering the surrounding area up to a 20 mile radius. 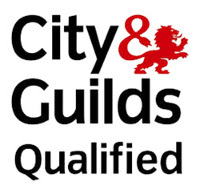 Among our qualifications include being Gas Safe Registered, Water Regulations Approved & City & Guilds certified. We cover a comprehensive range of gas, plumbing & electrical work including boiler installation & servicing, power flushing, gas safety certificates and much more. Had Mark around to carry out our annual boiler service over the weekend and he did a great job , wouldn't hesitate to recommend him. Mark came very quickly as problem with our boiler. Worked until he fixed the problem and did the boiler service. Will make sure all my friends have his details as have no hesitation in recommending him.